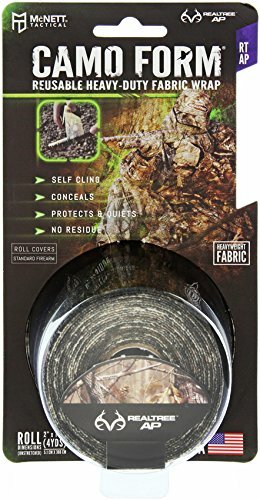 Protect and camouflage your gear with Camo Form. Protects against nicks and scratches. Leaves no sticky residue when removed. This heavy-duty stretch fabric wrap clings to itself as it?s wrapped on your gear. It stays solidly in place and won?t sag, even in wet weather. It conforms to any shape and can be cut and applied to the smallest moving parts. While developed for guns it also works great for binoculars, flashlights and our favorite to dampen the clink of metal water bottles. If you have any questions about this product by Camo Form, contact us by completing and submitting the form below. If you are looking for a specif part number, please include it with your message.